Amway Center, Dr. Phillips Center for the Performing Arts, Camping World Stadium, Bob Carr Performance Center, Winter Park, Ivanhoe Village, College Park, Shopping, Plaza Cinema Cafe, and 15 minutes from theme parks! Excelente hotel for the price, location, cleanness, service, parking and employees attention. We definitely recommend this hotel. 04-Nov-2018 Verified Review, stayed from Sat Nov 03 to Sun Nov 04 2018 at a $97.89 average nightly rate. 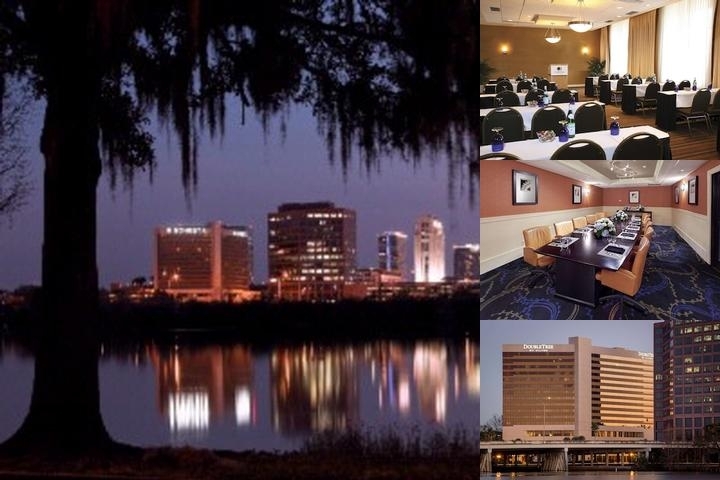 Welcome to DoubleTree by Hilton Orlando Downtown Hotel in beautiful downtown Orlando. With direct access to I-4, our location is a great choice whether you're visiting for work or play. The downtown business district and the ever-growing cultural district, sporting events, famous attractions, and the beaches are all convenient and easily accessible. Picturesque Lake Ivanhoe with a shaded jogging trail and the Antique Row are just steps away. Warm and comfortable, our 342 oversized guest rooms and suites are a great place to spend a quiet evening. Our rooms are designed to meet your needs, whether that's enjoying a restful night's sleep in luxury bedding or keeping you connected to home with the complimentary wireless High Speed Internet Access. Find inspiration for your next event in over 15,000 square feet of flexible meeting space, including 18 meeting rooms, boardrooms, and two ballrooms. We are a great choice for conventions, meetings, elegant weddings, and social gatherings for groups of 5 to 500 guests.Head to the rooftop to enjoy a refreshing swim or soak in our heated, outdoor swimming pool. Or stop by Starbucks Coffee® Shop, located in the lobby, seven days a week for a little pick-me-up to start your day. For your added convenience, self-parking and valet parking are available in our five-story covered parking garage. Our hotel is non-smoking for the comfort of our guests. Our pool is outdoor and is open from 6:00am to 10:00pm. Our daily breakfast buffet is available for $16.95++ ($20.75 inclusive) per person. The chart above shows fluctuations of prices for both our group rates and the best individual traveler prices our rate checker could find at the time the group/meeting offer was placed. The best group/meeting rate displayed is 39.6% in the month of July 2017 and the highest average individual rate is $201 in the month of March 2017. This chart will show past seasonality and also project future months. If you are flexible with dates, you may want to consider staying at Doubletree by Hilton Orlando Downtown in a month when rates are lower.